The discoloration and discomfort of a toenail fungus infection can make you want to hide your feet away for good. 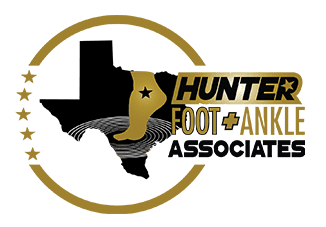 At his podiatry office in Plano, Texas, Roderick Hunter Jr., DPM, AACFAS, offers routine foot exams to protect the health of your feet and identify fungal infections. Dr. Hunter can diagnose and treat new and chronic toenail fungus infections to prevent nail loss and keep the infection from spreading. Book an appointment online or by calling the office today to learn more about available treatment options for toenail fungus infections. Toenail fungus infections are common in people of all ages and can result from environmental conditions or your personal care habits. Generally, toenail fungus infections develop when you expose your feet to a warm, moist environment, such as a public locker room or swimming pool. If other people have an existing infection, you only need to walk around barefoot in these areas for the infection to spread to your own nails. You may also be at increased risk for fungal infections in your toenails if you tend to wear the same socks and shoes every day, especially if they’re damp or sweaty. Wet toenails can easily develop a fungal infection that affects the appearance and health of your nails. What are the symptoms of a toenail fungus infection? Fungus can cause visible changes in your nails, and you may see white, brown, or yellow spots that grow on the nail surface. You may also notice your nail appears thicker than usual. In some cases, affected nails can thin out and become crumbly, eventually falling off. An early diagnosis is important for successful treatment. For this reason, you should check the health of your feet daily, especially if you have diabetes or another underlying health condition. Dr. Hunter can diagnose a fungal infection based on the appearance of your nail. What treatment options are available for toenail fungus? Treatment options for toenail fungus include over-the-counter medications to clear the infection, and Dr. Hunter may also prescribe oral or topical medications, like antifungals, to eliminate the fungus. It can take weeks or months for your nail to return to a normal appearance after the infection is gone. Once you develop a fungal infection, you may be prone to future infections. Dr. Hunter can recommend home remedies to keep your feet and nails clean and dry to avoid infection. If chronic infections are interfering with your life, or an infection becomes very painful and severe, you may need surgery to permanently remove the nail. 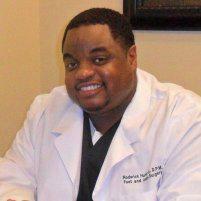 You should also schedule routine foot exams with Dr. Hunter to ensure your foot and toenail health. These exams can also help Dr. Hunter identify new fungal infections in their earliest stages. Learn more about treating and preventing toenail fungus infections by booking an appointment online or calling Dr. Hunter’s Plano office directly today.